The Guanacaste province has a dry, warm climate and picturesque beaches. 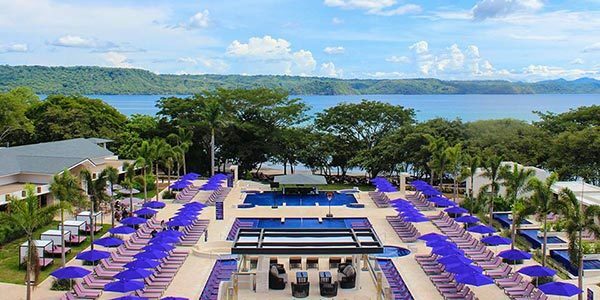 Costa Rica Guanacaste resorts and hotels are in demand due to the weather, landscape, and the proximity to the Liberia airport. Enjoy world class luxury in a resort with the attention and dedication of a boutique hotel. This comfortable resort is great for those seeking the convenience of being oceanfront and having access to an array of activities. Luxury and high end amenities are Guanacaste’s trade mark. Dotting the tropical landscape around white sand beaches, Guanacaste resorts provide everything a luxury vacation is supposed to have. With modern and comfortable rooms, a choice of fine dining restaurants and pool bars, entertainment programs, and countless other activities to choose from, Guanacaste hotels are some of the finest in the country. The Westin Conchal and The Four Seasons are the most popular high-end Costa Rica Guanacaste resorts, offering luxurious stay and exquisite service. 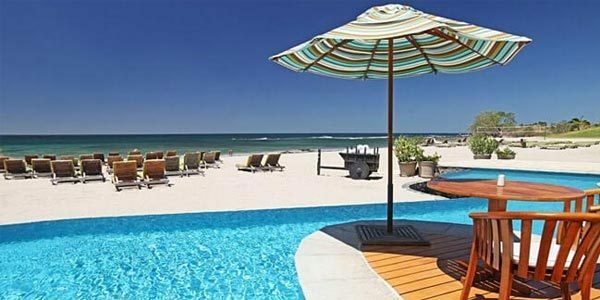 Flamingo Beach Resort is popular with families and groups looking for an all-inclusive stay and the convenience of being ocean front. The JW Marriott is a large, luxury resort built in a modern Hacienda style. It’s a beachfront property great for families with children of all ages, groups and couples. Another great way to experience the Northern Pacific is to stay at some of the boutique resorts. Villa Buena Onda in Playas del Coco and Cala Luna in Tamarindo area are two gems you don’t want to miss. Intimacy, relaxation and romance are the priority at these boutique hotels. The hotels are surrounded by tropical gardens and offer laid back luxury with fantastic personal service. For avid adventurers that want to enjoy great outdoors and experience an authentic Guanacaste vibe stay at Borinquen Mountain Resort & Spa. They provide a great variety of on site activities, with easy access to one of the most active volcanoes in the country-Rincon de la Vieja. The list goes on and on, but the devil is in the details, and in order to discover which of these Costa Rica Guanacaste resorts is best for you, email us or call 1-800-606-1860 today!